The Nuer call themselves Naath. Only their immediate neighbors, the Dinka, Shilluk and Arabs, call them Nuer. Most foreigners, which includes those with whom the Nuer neither fought nor traded, are called Bar which means ‘almost entirely cattleless’. Those foreigners who live even more remotely and include Europeans are called Jur which means ‘entirely cattleless’, a most unthinkable state indeed. 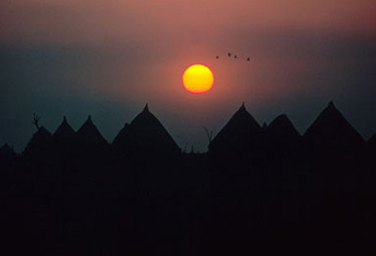 The people of Ciengach, where the film was made, are the Eastern Jikany, one of about a sixteen distinct tribes of Nuer. Twenty-five years ago E.E. Evans Pritchard estimated the total population of Nuer to be around a quarter of a million. Since then the number has undoubtedly dwindled considerably due to warfare, civil strife, sickness, drought and the general abandonment of traditional lifeways.